With the holiday season on our doorstep and celebrations like Christmas, sports events and wedding planning in full swing, our large LED mobile rental screen products are the best value for money to bring the event together and create focal points for maximum viewing. Our large LED rental video screens and our various sized modular rental screens are of the highest quality and offer total versatility. 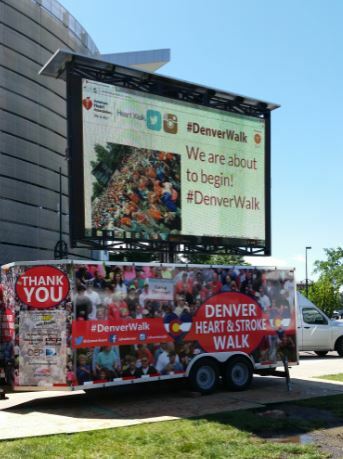 Our large LED screens are mobile and can be moved on a minutes notice to various places during the event. Our modular rental screens can be erected on stage for weddings or concerts, conferences or indoor sporting and ice skating events. These modular video screens can be used in many patterns creating an artistic light show with the videos to be shown. The quality of the LED screens is top notch and offers vivid colors and clarity, creating a focal, central point for viewers and filling and completing the event. If there’s an opportunity to use the screens for sponsorship during the event, the return on investment will be rewarding. 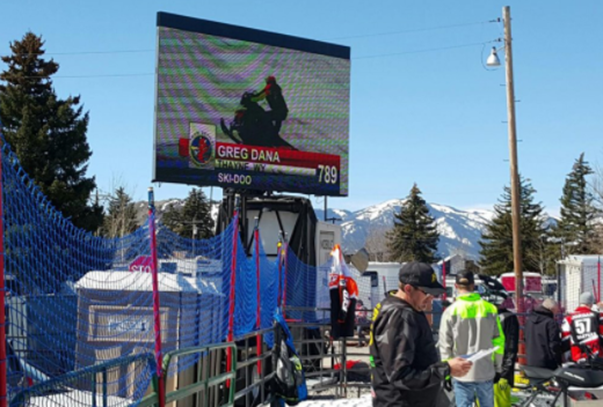 These screens become the focal point and attract viewers attention fully, offering sponsors a great opportunity to get their latest products in front of many more viewers for a reasonable investment. The LED video screens offer smaller companies the opportunity to advertise at choice events without having to sign up for monthly advertising contracts on TV. There is also the enormous benefit of targeting your products to the right demographic. Whether you’re a local Xmas tree lighting, non-profit event, or small-town festival, these LED screens and LED modular video walls are the perfect solution for today’s fast paced viewing and mobility of people. Guests, sponsors, and event organizers all love having the screen at events and you will not regret factoring them into your events budget. We at Mobile View Screens are always available to answer any questions and to help you find the perfect fit for your event, big or small. If you are looking to hire a large LED screen or modular LED screens for your next indoor or outdoor event, we have limitless screen options for your consideration. Call us directly at (303) 770-3416 to address your specific advertising needs. Countries around the globe are now fully invested in using large mobile LED screens for almost an events for sales, branding, advertising and conferences. 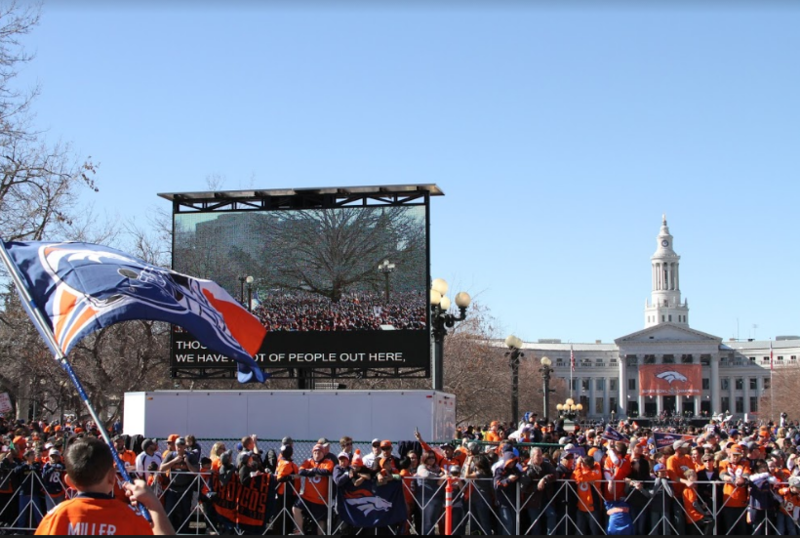 These large video screen are very durable in all weather, have incredible visual clarity and color and project the message loud and clear to a vast number of people at once. We at Mobile View Screens have worked in the most unusual circumstances and places. Our large LED screens are so versatile and can be moved to any location at a moments notice, reaching thousands of people with the marketing message. We cover events such as weddings, product launches, sports events, political events, movie releases and corporate training events. 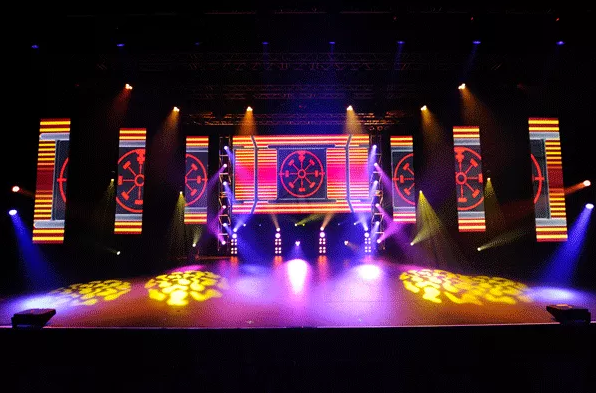 We also provide a huge selection of Modular Video Screens which are used to great advantage by music events and large stage events for their artistic design possibilities. Our medium size LED video screens are very useful for Colleges, Schools and Seminars to help with teaching and training. These screens are great for management events and training. 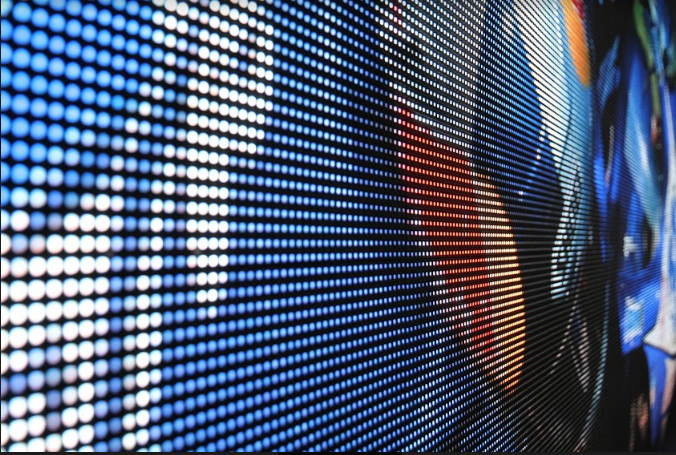 Give us a call and let us help you decide which LED screens are suitable for your upcoming event. Our staff are highly trained technicians and will help you to maximize your marketing of any event. 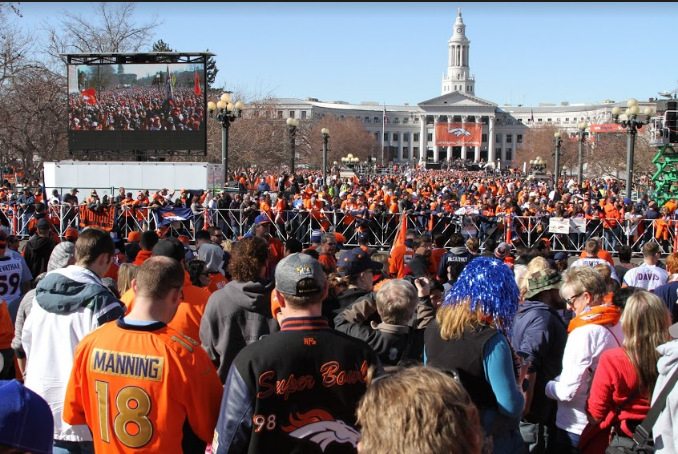 Call us at 303-770-3416 to reserve your big screen for your next event and see the Mobile View difference. 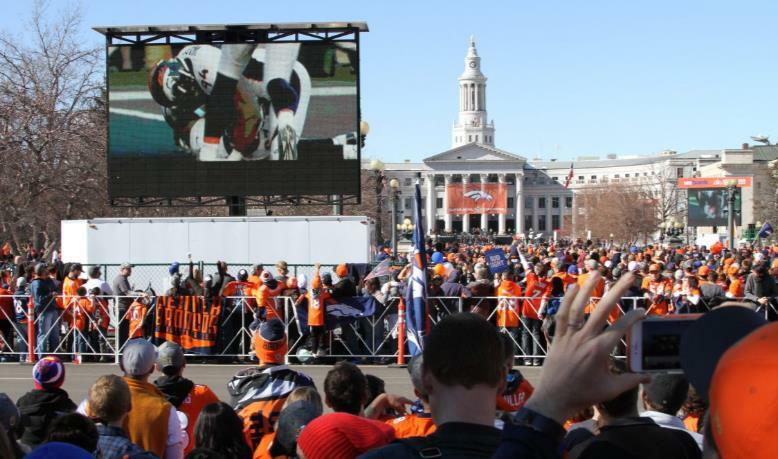 No sporting event, outdoor or indoor, is complete without the exciting, live stream of social media and twitter walls on Large LED Rental Screens. Whether the event is outdoors or indoors, make no mistake, our High end LED display systems are the most cost effective mobile rental screens, offering you the maximum flexibility and pitch perfect color come rain or shine, snow or wind. 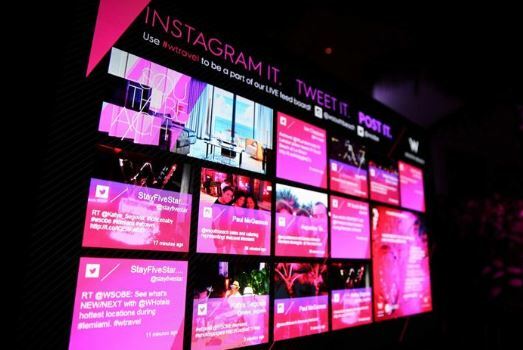 These social media LED rental screens allow for up to the minute hashtag posts encouraging attendees to interact in real time, sponsors love them! These big LED screens are an effective way to interact with consumers making them a very powerful marketing tool for any event. Attendees will be so excited to see themselves on the big screens with their friends and coworkers – the more people posting the better chance of the event trending. These socially interactive opportunities are the best marketing tools to get your brand name trending at live events. Sporting events are especially exciting and popular for these large jumbotrons and LED rental video screens. Our Mobile LED screens produce some of the sharpest pictures in the industry. All mobile screens are excellent for branding, scoring and timing. However, we typically utilize these giant outdoor screens for video images, live broadcast and replay highlights. Complete with on-board production suites, our LED mobile screens create front row seating, every time. Mobile View is there to bring you to the front row of any event you can imagine. Vivid color, and the latest LED screen technology brings the concert, sporting event, festival, corporate gathering or charitable event right before your eyes. 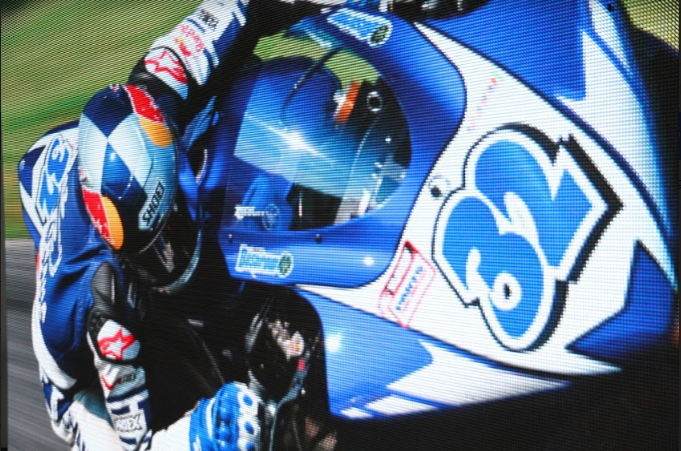 Our high-resolution LED screens bring amazing video clarity and vibrancy to any event and give brands the opportunity to connect with their audiences using engaging and captivating marketing messages. Indoors or outdoors, come rain or shine, night or day, here is a list of events where our video screen displays will perform and deliver. Planning or hosting an outdoor event? Our tech team professionals will help you create an interactive experience for your event using our cutting-edge technology. Mobile View Screens provide indoor and outdoor LED screens for hire, delivered on a fully integrated mobile video screens event screen truck with mixing capabilities. We are committed to providing tailored solutions that deliver results and enhance spectator experience for any event. Whatever your need we at Mobileview Screens are there to work with you on your marketing design so don’t hesitate to contact us at 303-770 3416 and we’ll be there to help make your vision a reality. The Great American Beer Festival® is the nation’s premier beer festival and competition, with brewers from hundreds of breweries across the country pouring samples of thousands of beers. Beer lovers: this event is for you. Denver’s Oktoberfest commemorates German heritage over two weekends each fall. Enjoy German attractions, including music from national touring groups, performances by international dancers, children’s activities, heritage booths selling German goods, an accordion concert, the annual Long Dog Derby and, of course, German bier and cuisine. Find the perfect pumpkin, go for a ride in a horse-drawn wagon and down a pint in the beer garden at Four Mile Historic Park Pumpkin Harvest Festival. You can also craft your own scarecrow and listen and dance to old-time music! Billed as "the Greatest Show (& Tell) on Earth," Maker Faire is a venue for “makers” to showcase their art, experiments, hobbies, crafts and projects through presentations, hands-on activities and competitions. This family-friendly event — the first of its kind in the Rockies — will feature everything from wearable tech, to a musical petting zoo, to the largest BattleBots competition in the Western U.S. We’d say more, but this it truly an event that’s best experienced first-hand! Recognized as one of the "Best Wine Festivals Across America" by Food & Wine magazine, the Denver International Wine Festival showcases the largest selection of international and domestic wines at any Grand Tasting in the Rocky Mountain region, plus the popular wine and food-pairing event, Pairsine, which features Colorado’s top chefs creating gourmet food pairings for award-winning wines. The Mile High City celebrates its vibrant creative community every year with Denver Arts Week. In 2017, this unique citywide happening returns with a lineup of innovative, inspiring and fun activities and events. Denver Arts Week takes place at seven neighborhood art districts, several museums and dozens of art galleries, and it includes the wildly popular Night At The Museums, where several of the city’s greatest museums are free. Watch as 20 Colorado chefs face off by creating French-inspired dishes paired with this year’s Beaujolais Nouveau wine. The event will also feature a live performance by Imagination Arts Circus and a premier selection of wines, spirits and food from local restaurants. 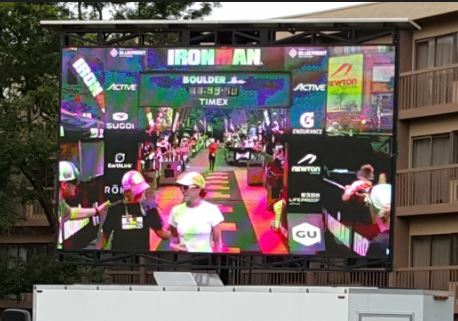 Large outdoor LED display screens are becoming more popular at events due to their fun engaging content, affordability, and increased capabilities. 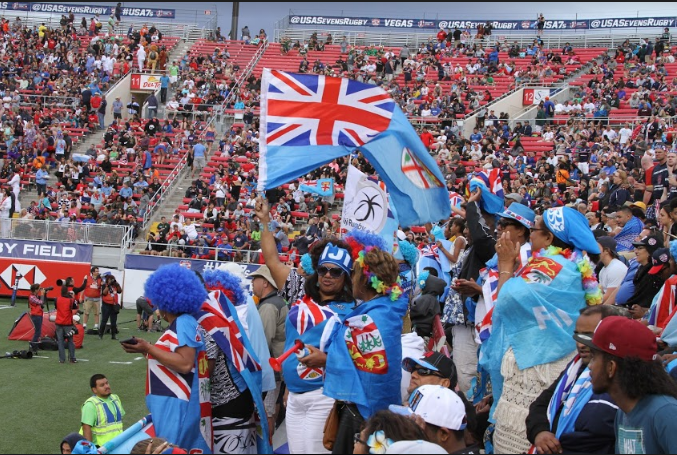 Crowds at music concerts, marathons, fun runs and sports events expect to see and hear all the action. 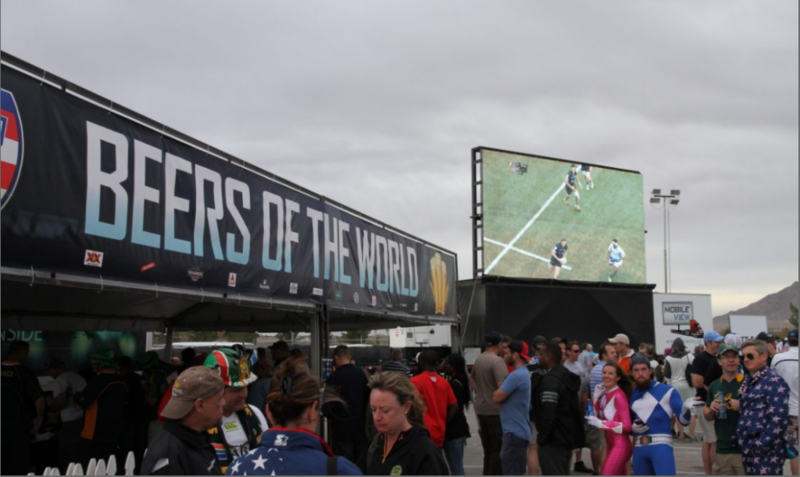 Images on large LED screens are easy to see in all weather conditions, including full sunlight, allowing people to enjoy a front-row seat, the atmosphere and the action at the same time. Tags: Large LED screens | Large outdoor video displays | Led screens for outdoor events. 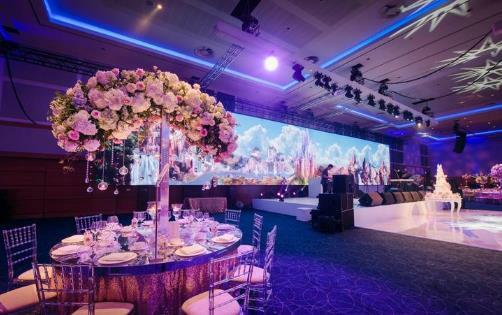 Here are the major reasons event planners are renting LED screens. ●	Visibility – Beautiful Images In Rain Or Shine. 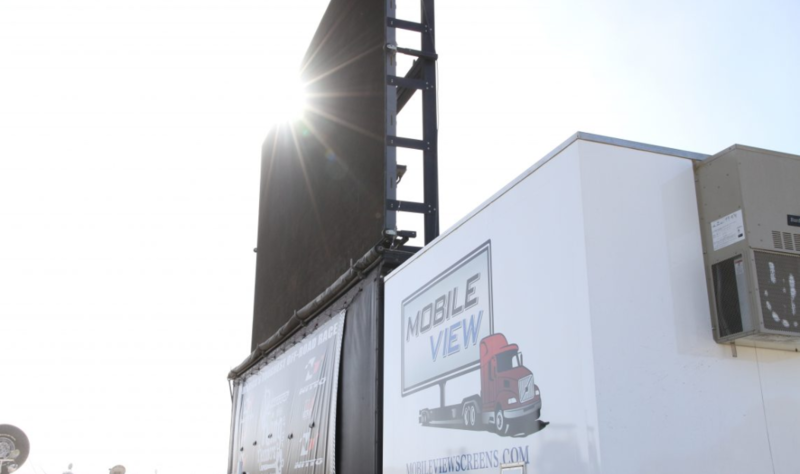 Mobile View’s mobile LED screens are glare-resistant so the viewer can see the action on the screen clearly in rain or in bright sunlight. LED screens are ideal for many types of outdoor events and can be scaled to any size giving every viewer a front-row experience even from hundreds of feet away from the action. Mobile LED screens are delivered and kept on trailers making them easy to transport and position. There is no set up at events, saving time and money in labor costs. Outdoor screens are durable and designed to withstand the bumps during transit. Designed for outdoors, they are also constructed to withstand reasonable impact during screen-time. Their versatility and strength makes them the ideal medium for sporting events, music concerts and public gatherings. Being mobile, the screens are flexible and, as an example, can be placed at the starting line of a fun run and moved to the finish line, after a few hours. 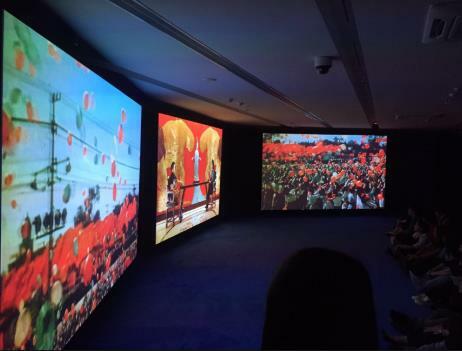 What better way to entertain and inform the audience than with captivating images on a giant screen? The large and bright images draw attention and have a great impact on the viewer creating an experience not easily available elsewhere. Feed updates from social media platforms such as Twitter generate huge engagement and PR from guests who can live tweet about the event. Large mobile screens at events create an immersive consumer experience through live video feeds, television commercials, branded videos and corporate messaging. Split screen capability allows engaging LED ads to run simultaneously with the main content, reaching a huge audience and making them incredibly attractive for advertisers and sponsors alike. The cost for hiring a mobile LED screen can be easily exceeded by potential advertising revenue and the value of customer engagement. The use of mobile LED display screens will also help to double up on your message and product details without having to hire too many people to staff a busy booth. The color and sharpness of the images will attract people to your booth as well as give out information prompting them to ask further questions and get their attention. If you are looking to hire a large LED screen for your next indoor or outdoor event, we have limitless modular screen options for your consideration. Call us directly at (303) 770-3416 to address your specific advertising needs. Tag: large led mobile rental screens | Large LED screens | Large LED video displaysIt is a proven fact that the more you put into your trade show booth the more it will reward you. With your competitors all around you, there will be just a small window of opportunity to make an impact on your customers. Incorporating large LED screens and large LED video displays is one of the most affordable and eye catching ideas to incorporate into your design. 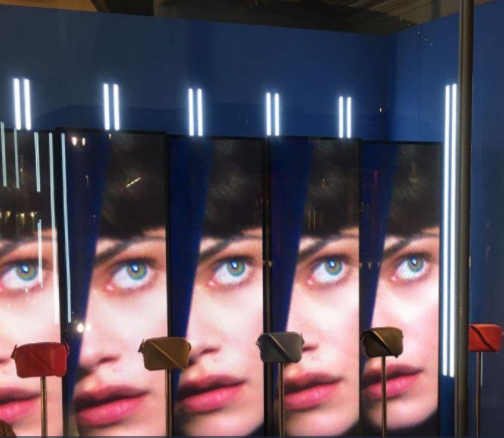 These large LED mobile rental screens or modular rental display screens are a necessity in today’s fast paced advertising market where you have to get your message out very concisely and quickly before people move on. Large outdoor LED displays | Led screens for outdoor events |Mobile LED display screen rentalThe use of mobile LED display screens will also help to double up on your message and product details without having to hire too many people to staff a busy booth. 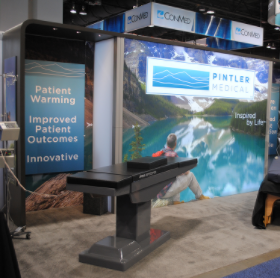 The color and sharpness of the images will attract people to your booth as well as give out information prompting them to ask further questions and get their attention. Our team of design experts will consult with you to establish your needs and required time lines for the conference. Our technical team are experts in dealing with any challenges you may have and can work one on one with you to overcome these and put on a flawless digital experience event for you and your company. Another great feature is the repetitive possibilities of showing your message throughout the day. Billboards and posters lack the movement, dynamics clear color and advantage of multiply messages being shown on one screen throughout the day. Using Modular LED Screens and LED display screens for these large public events is a must for your company. and we’ll be there to help make your vision a reality. TAG : Indoor and outdoor screens | Large indoor LED display screens | Large LED screens |Live concerts, music events, church gatherings, conferences and trade shows can no longer be without freeform Modular LED screens to give them that extra excitement and lift. 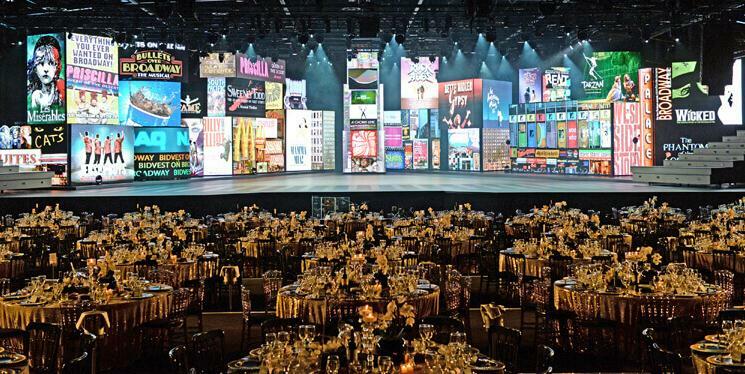 Large scale video has now become a total necessity for set designers and stage managers to bring the whole event alive. The costs are very reasonable and the color is sharp and clear. 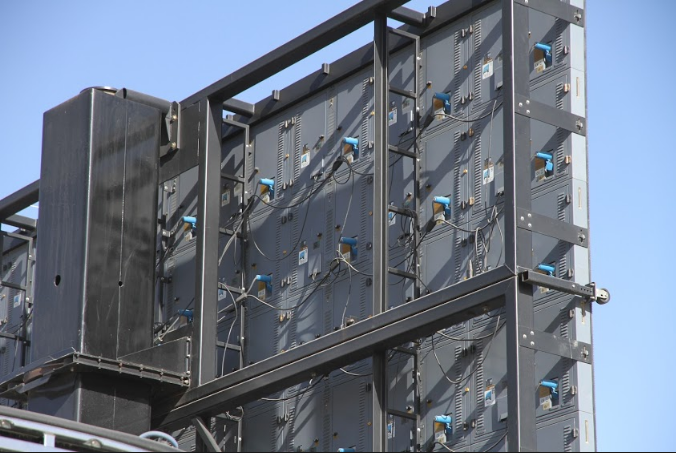 These modular rental screens are a total must for large indoor and outdoor events. They are incredibly durable and handle any brightness and weather. 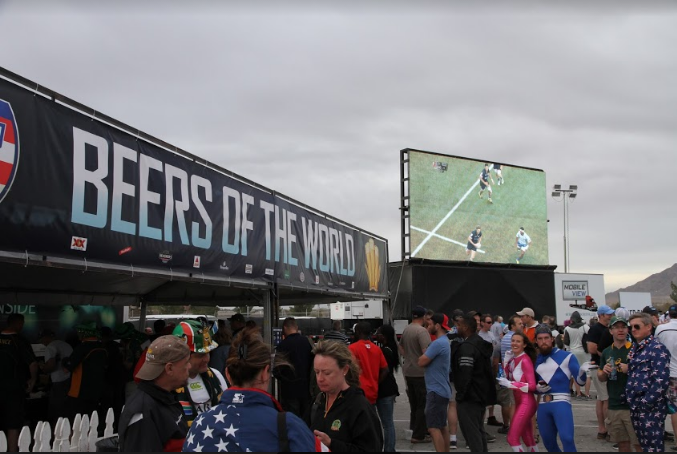 For large sporting events you cannot be without our Mobile LED rental screens which are mounted onto our state of the art trucks. They can be moved throughout your event to different locations without any fuss to give your spectators the thrill of up close viewing. Our highly skilled technicians are available to help you choose the right screens for your event and to see it through to completion. 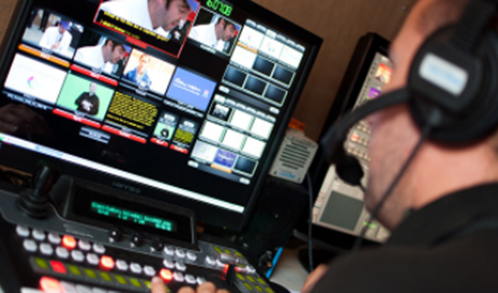 They will work hand in hand with each individual client to develop creative, cost=effective video applications that will add oomph and excitement to any major event. No live event is complete without these exciting, colorful and sharp Large outdoor LED display screens. 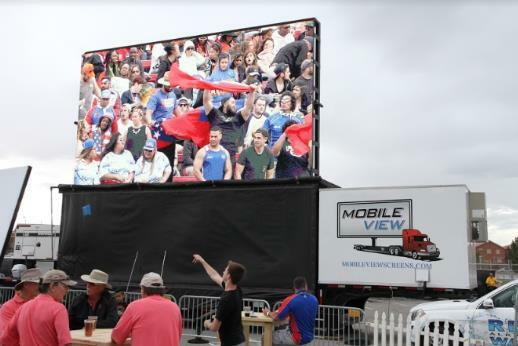 Mobile View Screens supply Large outdoor video displays and LED video panels which can be combined quickly in the field to form a large-screen video display of any shape or size. Built using large, hand-stackable sections makes for speedy setup and teardown while also minimizing cabling and display weight. The result is a tough, road-ready mobile display featuring industry-leading image quality perfect for any concert tour, conference or corporate functions, award presentations and graduations or auto shows, festivals or sport events. Tickets to any live events are expensive and the public now demands to have more than the average entertainment and presentations. These Large outdoor LED display screens are a way of giving back to the public and making their viewing experience exciting and fulfilling. Our Modular indoor rental screens will give your audience the opportunity to have full, surround color with clear viewing right up front without them having to sit in the first few rows. Nowadays, audiences won’t even go to events that don’t offer large LED Screens to maximize the viewing experience. Contact us today and we will help you put together a stunning event that will stay with viewers long after the event is over. By working with a professional rental provider like MOBILEVIEW SCREENS, you not only have access to our latest technology, but you’ll also have our fully trained and knowledgeable technicians at your disposal. While you’re focused on selling your products and services, let us worry about ensuring the display you have chosen is properly set up and calibrated. We take all the worry out of the transport, set up, moving, storage and general logistics of your mobile display screens. Spring fever came and went so quickly and we’re now slap bang into full-on summer weather. What a wonderful time to get out with the family and friends and celebrate. From music festivals to food festivals to rodeos, our large led rental screens will bring the show center and up front so that you don’t always have to be in the front row seats to get a good view of the festivities. No live music event or celebration of any kind should be without one of our large LED mobile rental screens. Our mobile screens are top notch quality and our trucks can be set up and moved at the drop of a hat to various spots for the event. Here are a few suggestions to get out and have some fun this summer. During the Denver Arts Festival, more than 100 of Colorado’s most esteemed artists showcase paintings, sculpture, photography, glasswork, woodwork and more. A small set of acclaimed national artists will also display their work. This popular event is expected to bring over 50,000 attendees. 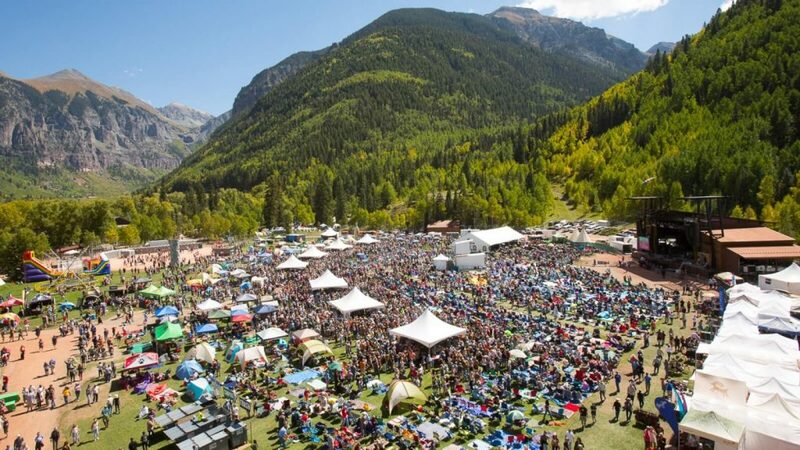 A free, outdoor music festival in the heart of downtown Denver? Yes, please. Denver Day of Rock is an annual tradition that sees dozens of performers bringing rockin’ good vibes to The Mile High City. This event will feature five stages of live music throughout downtown Denver. The Capitol Hill People’s Fair is one of Colorado’s longest-running outdoor festivals. Special features include a wine pavilion, jazz stage, “Fine Art Avenue,” food from local restaurants, and a hoppin’ kids’ area. It’s truly an event for the people! Every spring, the sidewalks around Larimer Square come to life during the annual Denver Chalk Art Festival, as more than 200 professional, amateur and student chalk artists turn concrete into canvas. This is a don’t-miss event, especially since these masterpieces will be washed away with the next spring shower. See Shakespeare under the stars in the historic Mary Rippon Outdoor Theatre or inside the University Theatre on the University of Colorado campus in Boulder. The Colorado Shakespeare Festival is a summertime favorite. Bring a picnic and arrive early to enjoy it on the lawn before the show. This year’s lineup includes “Love’s Labour’s Lost,” “Richard III,” “Cyrano de Bergerac,” “Edward III” and “You Can’t Take It With You. Flash back to the 16th century and journey through a medieval city at the Colorado Renaissance Festival. Enjoy full-armor jousting, tasty turkey legs, music and a marketplace featuring more than 200 artisans. Denver Comic Con is three days of pop culture, costumes and fan fun for the whole family. Come experience a wow-weekend of celebrity encounters, comics, sci-fi and fantasy TV, gaming and movies. Join legendary pitmasters as they serve up world-class barbecue. Plus, enjoy live music, cold beer and barbecue demonstrations at this inaugural event. Admission is free on Saturday and Sunday while there is a ticketed preview party on Friday. Listen to the sounds of hip-hop, R&B, blues, soul and jazz as nearly 200 vendors line Welton Street. Denver PrideFest is one of the biggest LGBTQ events in the country and takes place over a summer weekend. The free two-day festival begins with a parade and features a rally, music and food. The Coors Light South Platte Riverfest is expected to draw more than 20,000 attendees to the banks of the South Platte River, in the heart of Denver. Enjoy free paddleboarding demos; self-guided rafting, tubing and kayaking; live music; craft beer; artists creating new works on site; a kids’ zone and yummy food. WHEN: July 3, 2018, 8 p.m. The annual Denver County Fair is a place to share ideas, traditions, creativity, local culture and intellect. The fair highlights the talents, trends, diversity and interests of the residents of the amazing City and County of Denver. Events include a skateboard rodeo, a carnival (complete with rides and midway games), competitive eating contests, animals, rockets, roller derby a beer and wine festival and so much more. 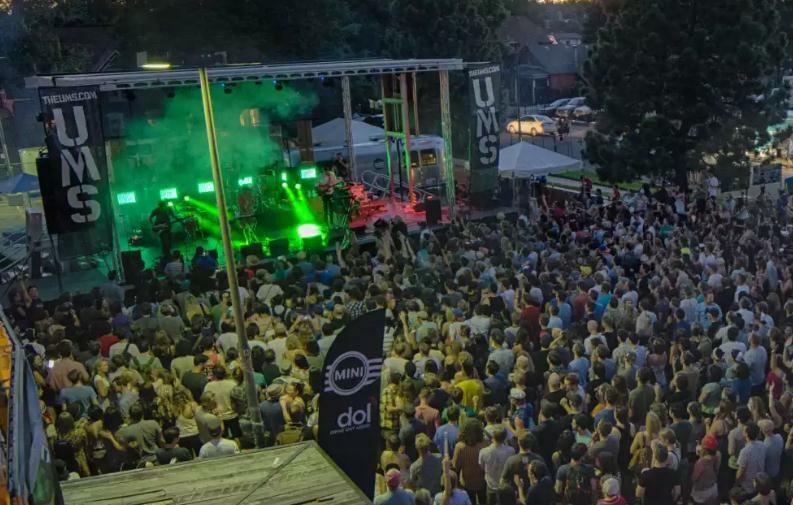 The Underground Music Showcase, Denver’s very own version of Austin’s South By Southwest Music Festival, takes over the streets and stages of South Broadway for a multi-night extravaganza featuring the cream of Denver’s underground music scene. Over 400 local and national bands play in nearly 20 venues for more than 5,000 music lovers over four days and nights. Music fans can stroll from club to club and stage to stage, catching the city’s rising stars before the rest of the world hears about them. Founded in 2001 to celebrate Colorado’s Asian Pacific American (APA) culture, the Colorado Dragon Boat Festival has become the region’s fastest growing fun, family-friendly summer festival. Named “Top Annual Festival” by the Rocky Mountain News and a “Best of Denver” event by Westword, it offers festival-goers the opportunity to explore APA customs through performances, arts and crafts, shopping, dining and the exciting athletic competition of dragon boat racing. WITHOUT OUR LED SCREENS THERE IS NO EVENT! TAG: Large LED Video Screen rentals | Large LED video displays| Indoor and outdoor screens | Mobile LED screens | Large LED screens for rent |With Spring and Summer fast approaching now is the time to plan the maximum impact for your indoor and outdoor events. No event is too large or too small for Mobile View Screens! We arrive at your venue and within minutes take control of your advertising needs. Our screens are totally mobile and can move easily even during the event from one location to another. Our professionalism, reliability and responsiveness to the client, is second to none, and we can deliver any size outdoor or indoor LED screen, anywhere in North America on a moments notice through our vast network of affiliate companies. We have a huge selection of large LED video displays and Mobile Jumbotrons for rent. Front row seating at any event no matter how large. 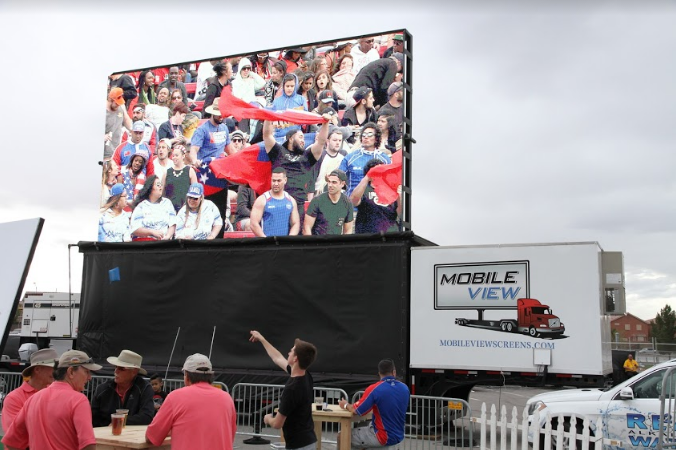 Mobile View Screens has provided state-of-the-art large mobile LED screens and outdoor LED signs for major sporting events, product launches, corporate gatherings, political rallies, fairs, festivals, specialty and charitable events since 1999. We also have a huge selection of modular rental screens for stage, concerts or conference designs and marketing. TAG: Large LED Video Screen rentals | Large LED video displays| Indoor and outdoor screens | Mobile LED screens | Large LED screens for rent | Jumbotron rentalsIf you are planning a large event you will do well to have a Mobile View team at your side to make sure your event goes smoothly and you get the maximum impact for your advertisers. Contact us today and we will help you make the choices and designs you need for your upcoming event. 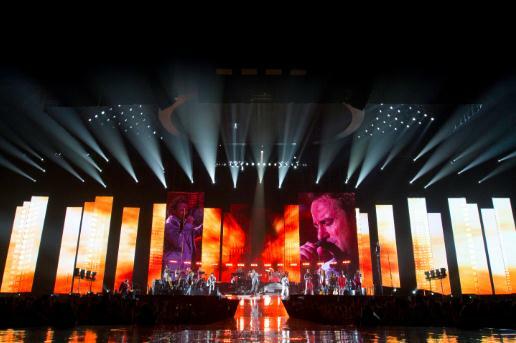 Mobile View prides itself on working closely with set designers and clients, putting together the concepts for their indoor concerts or events of any kind, using our Modular Rental LED Screens. Mobile View gives personal, one on one guidance to develop creative and cost effective staging adding excitement and advertising dollars to any festivals or corporate events. Our large Mobile Rental LED Screens are also hugely popular for outdoor sports events or political events where maximum impact is needed for large crowds. These cost effective Rental Screens are mounted on our trucks, giving the advertiser total control in the positioning of their message and can be moved throughout the event to different locations. 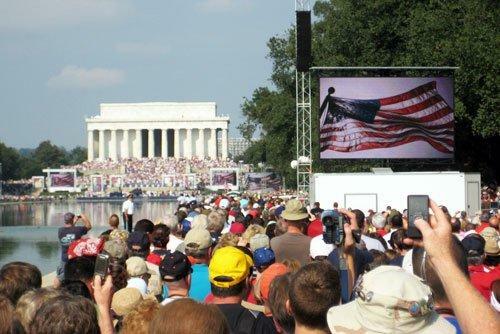 The mobility of these large screens make them very popular for large outdoor events of any kind. The quality and color of these Mobile outdoor LED rental screens is remarkable and can be used in any weather rain or shine. Spring is the perfect time to plan your outdoor events and our rental LED screens and modular rental screens book up quickly. Contact us at Mobile View Screens and we will work hand in hand with you to plan your spectacular upcoming event, whether outdoor or indoors. 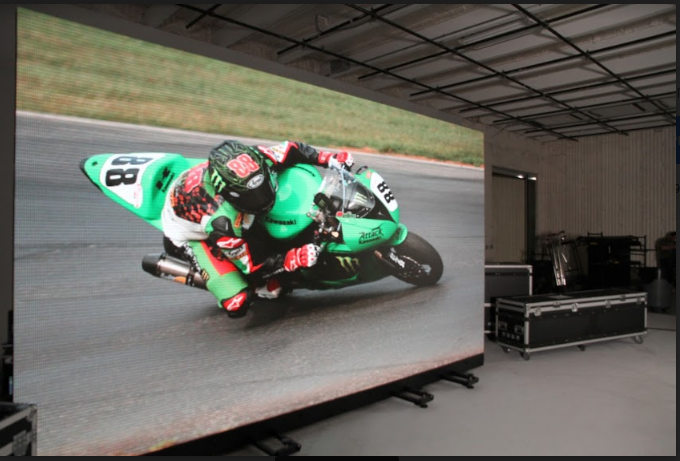 Modular Rental LED Screens and large Jumbotrons for your Trade Shows, Sports Events and Exhibitions. With Trade Shows and exhibition season arriving we are always excited to see what’s happening in our neck of the woods. Most of these shows will have Large LED rental screens to make it easier for large crowds to enjoy the events without having to push to the front of the action. Our various sizes in modular rental screens allows event organisers to advertise their goods in smaller spaces. Their high resolution and color quality will magnify the experience and make your exhibition space stand out from your competitors. 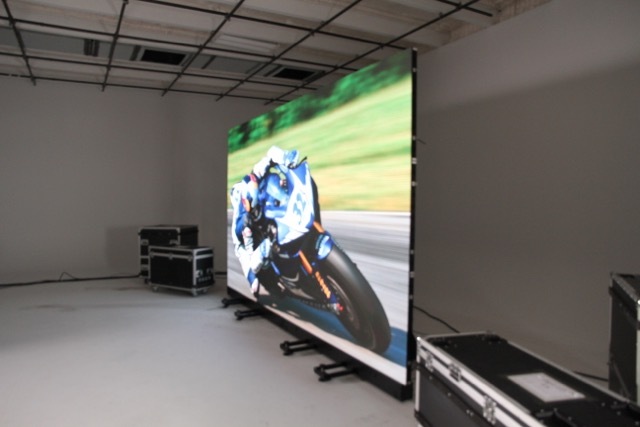 We at Mobile View Screens can put together any modular led screen designs to fit practically any space, large or small. FREEZIN’ FOR A REASON…it’s the 2018 Polar Plunge presented by Westerra Credit Union. 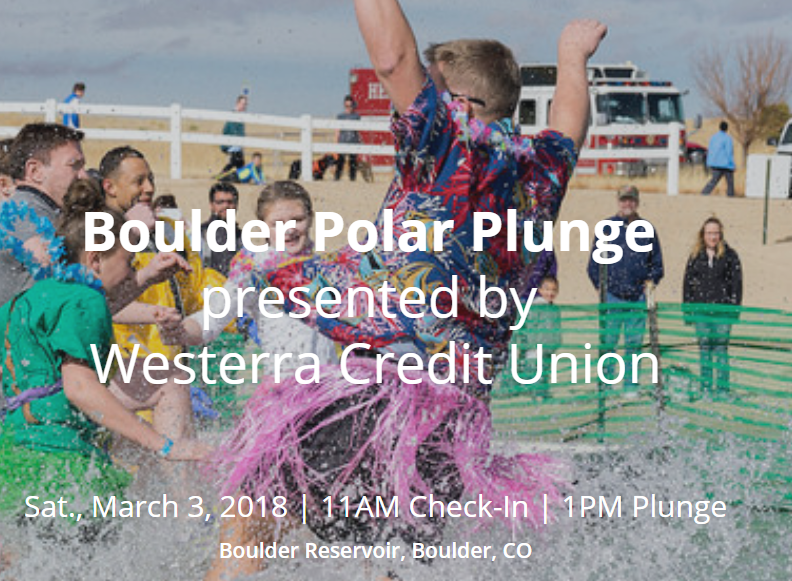 Show your support for over 22,000 Special Olympics athletes in Colorado by plunging into icy waters and raising money for Special Olympics. Here’s how it works: Start a team or join a team (the more the merrier!) and ask your family and friends to pledge money towards your plunge. There are great incentives for reaching certain fundraising levels, and all proceeds benefit our amazing and courageous Special Olympics athletes. These are just a few fun things for you to take a look at. However, if you are planning an event in the upcoming event season, we will come out and spend some time consulting with you to see exactly what the best products are for your particular event. Whether its an indoor or outdoor event, we have a large selection of mobile LED rental screens for you to choose from. 2018 has arrived and with it a whole new opportunity to destress, get out and about and enjoy all the events from sports to concerts that are on offer. Probably, one of your New Year resolutions is to take time to enjoy life a little and make time one the weekends to get out the house and off your screens. One of the added benefits of attending large concerts or sports events is the installation of indoor or outdoor large modular or mobile LED screens. No need to buy the best tickets in the house anymore, no matter where you sit you will have a great view of these screens dotted around the events making for very enjoyable entertainment. Modular LED walls are constructed on-site using trussing and rigging. 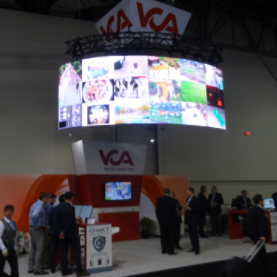 Modular LED is popular for events that require a custom video size, ratio or aesthetic. 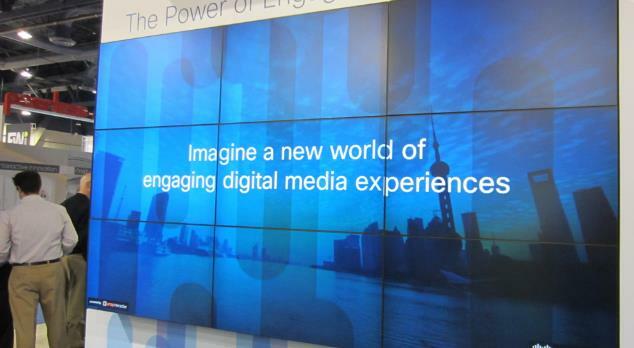 Modular digital video screens are ideal mediums for exhibitions and conferences. They can be used for backdrops displaying products and company information. By deciding to enhance your product advertising with Modular LED screens, you will be making a strong impression with your potential clients and make your mark in the industry you target. With well thought out content your new customers, peers and delegates to these large conferences will be impressed and your product will leave a lasting impression. There is no better way to generate results that are lasting, than by branding and screening your product launches on Modular panels. Sponsors love this type of advertising and these Modular LED panels can also be used for Award Ceremonies, reveal winners of competitions. 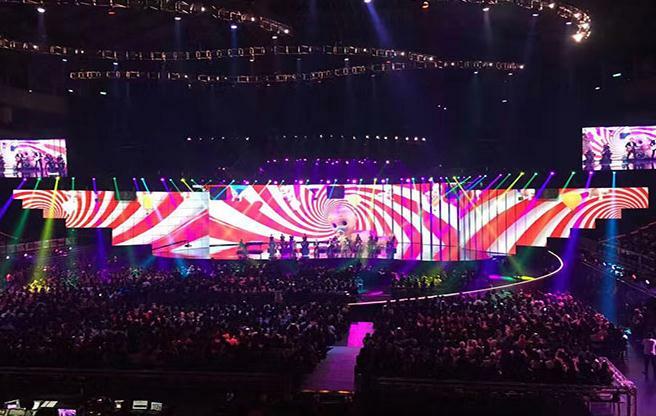 TAG: Indoor and outdoor screens | Large indoor LED display screens | LED display screens | Outdoor advertising displaysThe best advantage to using modular LED screens is the light effects and patterns that can be designed around several screens, enhancing the concert or event to a surround effect. Adding the surround sound and lighting will bring the event up to a world class standard. TAG: Big screen tv | Jumbotron Jumbotron Rental | LED screen | Live Video | Mobile LED Screen | Mobile Screen Rental | Outdoor Event | Outdoor Screen | Video Board | Video Equipment | Video Production | video screen | Video Wall | Wireless Signal | Wireless VideoWe have also seen a huge uptake for private events such as weddings and general celebrations using Modular LED displays as backdrops on the stage to help decorate and enclose the space around the main focal point of the celebration. All in all this is a very cost effective form of decor for event organisers to make an event unique and memorable. Now is the perfect time to plan for those Spring and Summer events! Large Outdoor and Indoor Mobile LED Screens are a must to create a buzz and enhance any event, indoor or outdoor. There are two perfect seasons jam packed with special events, concerts, tailgate parties, sports events, movie nights, political events just to name a few. 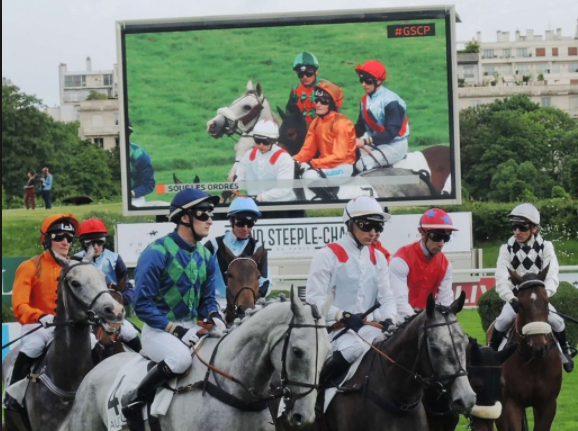 large outdoor LED screens | mobile LED screens | mobile jumbotrons | modular LED screensNow is the ideal time to approach sponsors to advertise on your big screens, giving them plenty of time to target their demographic with the ideal campagne and message. There is no better way of maximizing your profits at large events than approaching sponsors. These large Jumbotrons are perfect for Social Media Messages, crowd involvement, live scoring and audience participation. No large event can be without these Mobile LED Displays to upgrade the full surround experience. Indoor & outdoor mobile LED displays | large LED screens | mobile jumbotronsMobileview Screens and their highly trained staff, stand ready to tackle any problem visual area and enjoy helping you put on your popular spring and summer events. We are always excited to partner with you to help your guests better enjoy the event and help you generate more revenue for your company, cause, or organization. We will meet with you and go through every detail and recommend the perfect screen size or type for your particular event. Contact us now to plan a smooth, exciting spring or summer event with our large mobile LED rental screens or modular screens. Join MobileView Screens in celebrating the changing of seasons in this spectacular city of Denver, Colorado. With so many upcoming events leading into the holidays, there are so many exciting things to do and see and our Mobile Large Led Video Screens will be part and parcel of many of these events. Bundle up warmly, join in on the fun with family and friends and get out and experience some of these fun events. Our large indoor and outdoor LED Screens will bring these events right to the forefront for your enjoyment, so no need to get front row seats. Below we have just a few to choose from. 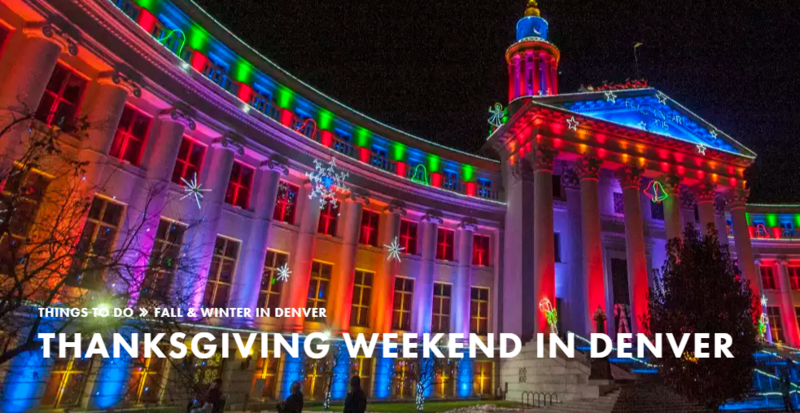 Grand Illumination features beautiful lighting displays in the LoDo District and Denver Union Station. 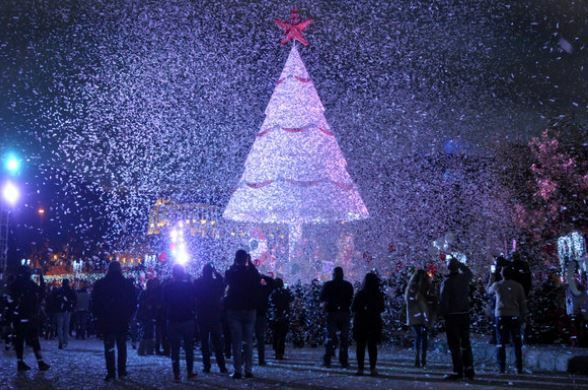 Downtown’s unique holiday atmosphere is sure to get you in the holiday spirit. Festivities at Denver Union Station include a countdown to this year’s holiday lighting, carolers and treats, drinks at The Terminal Bar and more. 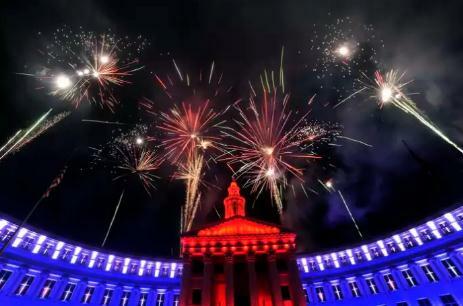 The official kick-off to the largest lighting display in Denver happens on November 24 at 6 p.m. at the City & County Building, where 600,000 lights deck the neo-classical building. Enjoy family-friendly fun, food, and live music in the light of the City and County Building at Light the Lights. Let your little ones help Santa ready his sleigh for the big day during Santa’s Flight Academy! Visit with jolly St. Nick, try out his Flight Suit Visualizer, and enjoy the magical snow and light show at Cherry Creek Shopping Center. Grab your family and friends and head to 16th and Arapahoe in downtown Denver to the Downtown Denver Rink at Skyline Park. Skate rentals are $2, or bring your own pair and take a spin on the ice for free! Free days for kids will take place throughout the season. Look for regularly scheduled entertainment and activities each week including: Friday night DJs; Saturday morning skating lessons; Saturday night concerts; and Sunday afternoon family entertainment. Bring the kids to meet Santa (and his reindeer), make crafts with Mrs. Claus and take a magical hayride under twinkling holiday lights at Santa’s Village. Afterward the whole family can shop for handcrafted gifts in Santa’s workshop. Embrace the holiday season at Blossoms of Light. The first night will display over one million colorful lights draped in elegant designs highlighting the Gardens’ winter beauty. Enjoy sparkling passages, new displays and romantic kissing spots under the mistletoe, all made even more beautiful through HoloSpex glasses. Warm drinks and tasty treats will also be available. Grab your golden ticket! The beloved children’s book comes to life in The Polar Express™ Train Ride, a theatrical recreation at the Colorado Railroad Museum that takes place inside a real train car, complete with cookies and hot chocolate. The Denver Nuggets face off against the New Orleans Pelicans. Come out and watch the National Champions defend their title! Then there’s the walls of the mobile unit for large wrap banners. It is a win win situation for both the event organizers and the sponsors. All of these are great ways to offset costs, and have successful sponsors. It sure beats having your logo printed on a Tshirt! We can deliver any size LED screen, anywhere in North America on a moment’s notice through our vast network of affiliate companies. Mobile View screens and displays offers the opportunity for companies to show exclusive content which is designed to drive public engagement and corporate sponsorship dollars. Traditional outdoor signage and static billboards are fast being replaced by mobile large LED screens and Jumbotrons which are more engaging, dynamic and have the ability to draw audience attention and interaction. Events that attract large audiences have a need to gain their undivided attention and LED screens for outdoor events are becoming an automatic part of event coordinators planning and budgeting. People’s sensory arousal, attention and memory processes are positively influenced by the physical size and brightness of mobile LED display screens. Live events that greatly benefit from outdoor LED signs and screens are Business Launches, 4th of July and Labor Day parades, Music Festivals, Sporting Events, Motorsport Events, Rodeos & State Fairs, Super Bowl parties and Movie Nights, just to name a few. Let us at Mobile View Screens help you to plan and execute your next event so that you and your advertisers can get a good return on your investment. With the competitive nature of the advertising market, large LED screen displays are the future medium of advertising for outdoor events. Their ability to raise company awareness, promote brands and enhance fan experience makes these displays an integral part of the experience in arenas, stadiums, entertainment and sport events. Consider the following benefits for your next event. Large LED screens allow companies to advertise to their perfect captive demographic. Your message will be broadcast to a gathered group of people already interested in your product, in a short amount of time. With the huge cost of advertising on radio and television today, companies can’t afford to throw away dollars on the wrong audience for their products. Mobile LED screens allow a huge gathering of people to all have good visuals of the content being broadcast. Combining two separate companies adverts on one screen either with a banner or split screen allows for a huge cost saving for advertisers. 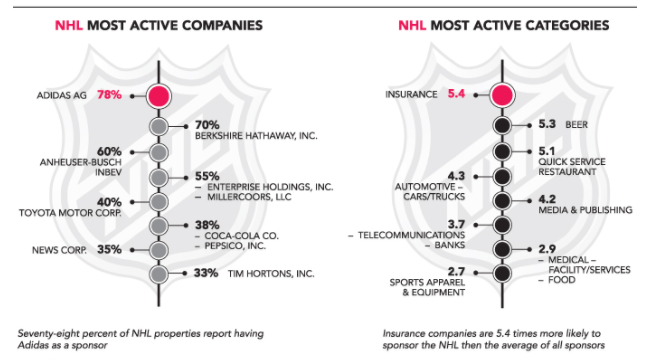 Some of the most successful product launches started at large sports events or shows. The high quality and brightness on these LED screens allows the show to go on no matter what the weather issues are, rain or wind. Mobile screens bring video capabilities into your event whether it’s indoors or outdoors. Our vast selection of versatile outdoor display systems and modular LED screens give you the opportunity to design any shape or size parameter you require. Our outdoor LED displays produce high quality, dynamic images in vivid colors, with excellent contrasts. Your choice of breathtaking images or videos will enhance any event from corporate presentations, live sports events to massive trade shows and conferences. Outdoor digital signage is a dynamic infotainment centerpiece that will take your event to the next level and will make that unequalled connection to your audience. These outdoor advertising displays provide a communication tool that reinforces your message and connects the audience with your unique brand. Mobile View Screens offer a huge choice of large visual displays that will help you target your widest, most appropriate audience for any event. In today’s media rich market outdoor signage and outdoor displays have become a necessity to attract the full attention of your target audience, offering them an all encompassing experience. Outdoor screens are the marketing tool of the future offering endless, exciting ways to show your product in high definition with no disturbance from the weather or sunlight. For a full, all encompassing marketing avenue there is no better choice on the market today that is also so cost effective. Mobile View Screens can supply a fully installed solution for large outdoor displays also known as mobile LED screen systems. These large LED screens are mobile and completely versatile and can move anywhere at a moment’s notice. They are used for sports events, retail and shopping centers, leisure and entertainment events, town centers, advertising and education. 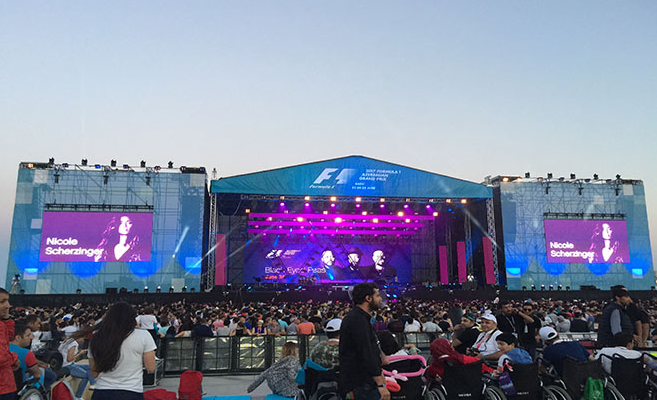 Mobile LED screens have now become an unrivalled advertising opportunity for any big event, ramping up the excitement level and bringing the images right to the spectators. Whether you will be using our large screens for outdoor events or our modular panels that join seamlessly to form any size or shape, the quality of pixels will be perfect from practically any distance. 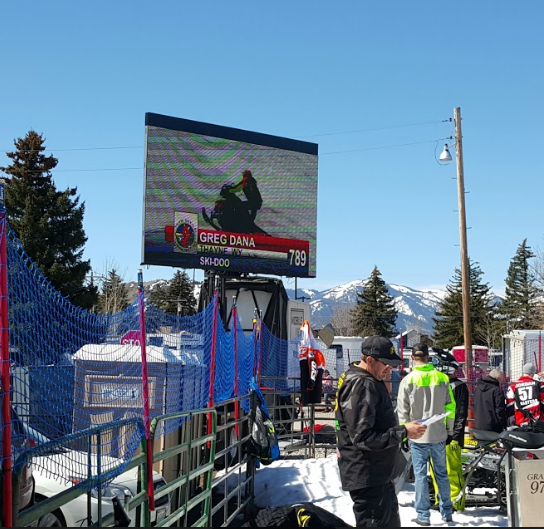 Mobile View Screens will complete any event with their outdoor LED displays giving your spectators the ultimate experience in live screening. In today’s competitive market where people’s time is so limited, large outdoor displays are an absolute necessity to corner the market for your particular event. If you’re looking for reliable Large LED screens for rent then Mobile View Screens is the company to hire. 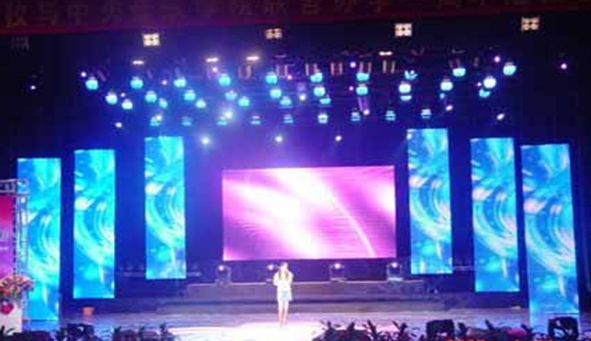 Our LED screens for outdoor events offer extremely good quality with their high pixel count. 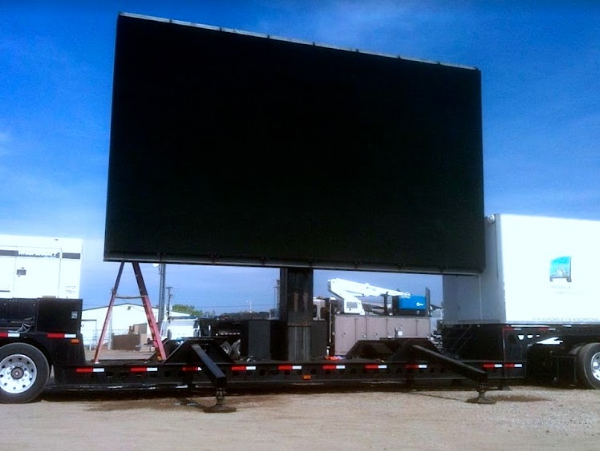 Our large selection of LED screens can be set up in record time and are totally mobile. Mobile View Screens and displays has targeted 4 IMPORTANT REASONS why renting large LED screens and jumbotrons has become a total must for any indoor or outdoor event. FAN ENGAGEMENT – in this new age of constant social media distraction it has become vital that you have an avenue of total engagement with your audience making it easy and exciting to get their attention. These mobile and modular screens offer the perfect opportunity for digital marketing campaigns. They are also the best form of crowd involvement. To add a fun element you can plan to film the crowd by adding on a camera feed. ADVERTISING REVENUE – Long gone are the days of static poster displays at events, in stores and malls. Our dynamic indoor and outdoor screens have now become a cost effective way to reach your target audience and keep their full attention. 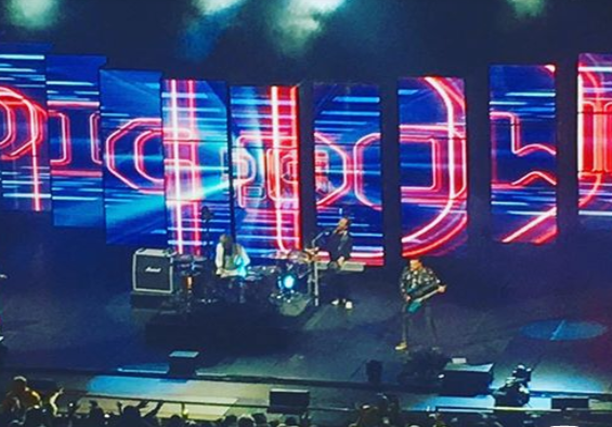 VISIBILITY – Large LED screens offer the top choice in visibility for the audience and fans. Our indoor and outdoor LED screens afford the spectator a perfect front row experience and can be scaled to any size or shape. RELIABILITY – Mobile View Screens are built to withstand wind and rain and have the technical team to back up any issues that may occur. All round these Mobile View screens and displays offer the best marketing options available for large events. 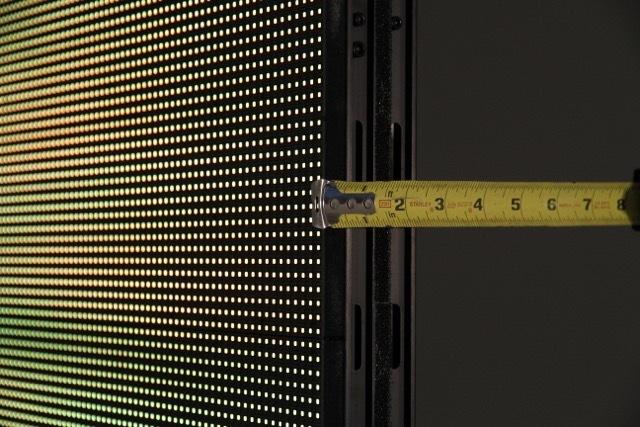 Each LED panel or ‘module’ is approximately 3′ x 2 ½ feet, and contains more than 16,000 pixels, that can be assembled into any video format required, or into LED displays for advertising, sporting events, marketing displays or any LED permanent or mobile display application. “Many of our customers are now branching out into varying sizes of large LED screens and displays in order to reach a broader audience in unique and creative applications,” said Sweeney. 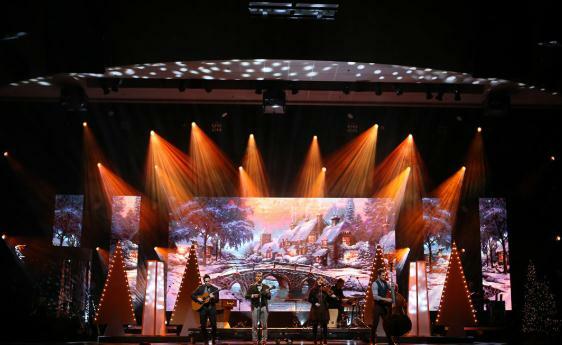 While most applications for the LED panels, or modules remain in the standard 16 x 9 broadcast ratio, newer applications are breaking the mold and expanding the tremendous value that these portable and durable LED panels bring to any event. 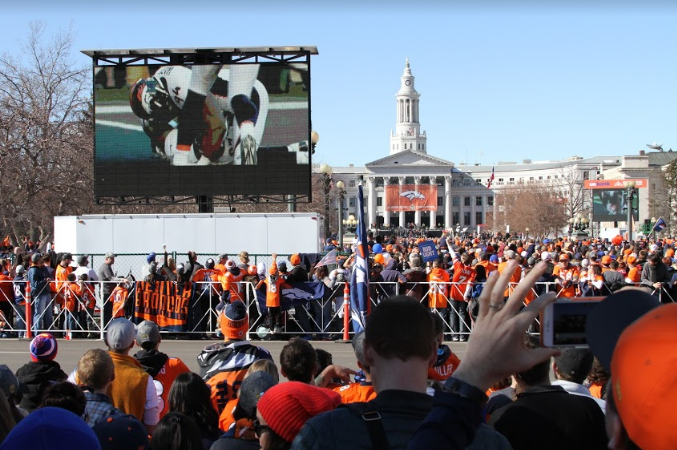 “The technology is advancing at a rapid pace, and Mobile View’s commitment to the LED modular market keeps us at the forefront of the large LED display screen rental business.” Give Mobile View a call at 303-770-3416 for more information.